Our goal is to connect people with the best local experts. We scored carpet cleaners on more than 25 variables across five categories, and analysed the results to give you a hand-picked list of the best carpet cleaners in Silver Spring, MD. Duraforce Cleaning Service, Inc. is a minority-owned commercial and residential carpet and upholstery cleaning and restoration services company. It serves the Washington, DC metropolitan area. This company's team of well-trained technicians perform their job in a timely and responsive manner. They endeavor to tackle their tasks with integrity and excellence. The services offered by Duraforce Cleaning Service, Inc. include carpet and upholstery cleaning, fire and water restoration for residential and commercial properties, house construction, house remodeling services, and janitorial services. They also provide pressure washing and post-construction clean up. The technicians at Duraforce Cleaning Service, Inc. know how to implement industry standards and guidelines, making this company a trusted and credible contractor. Headquartered in Kensington, Maryland, Global Carpet Cleaning is a professional carpet cleaning company that serves clients in Washington, D.C., Maryland, and Virginia. Certified by the Institute of Inspection, Cleaning, and Restoration Certification, Global Carpet Cleaning has an A+ Rating with the BEtter Business Bureau. The company is family-owned and has been in business since its founding in 2007. Services provided by the company include free pickup and delivery of Oriental and area rugs, residential and commercial carpet cleaning, pet odor and stain removal, anti-allergen treatments, carpet germ sanitizing, water and sewage damage restoration, mold remediation, and much more. Hippo Cleaning Services is a professional carpet cleaning company serving the community of Chevy Chase, Maryland. Hippo Cleaning Services offers a range of services including carpet cleaning, water damage restoration, air duct cleaning, area rug cleaning, pet stain and odor removal, upholstery cleaning. They also offer commercial cleaning, boat and yacht cleaning, wood floor cleaning, tile and grout cleaning. Hippo Cleaning Services provides free estimates on services, same day option for cleaning services, and environmentally friendly cleaning agents that are toxin-free and safe for small children or those prone to allergies. Clients regularly leave five-star ratings for this company. Montgomery’s Cleaning Services is a dependable contractor in Lanham that serves Prince George’s County and the neighboring areas, including the Silver Spring business district. The company has been around for more than a decade and is “in the business of building great relationships” with customers, and it welcomes residential and commercial projects of any scope. The establishment has the resources to make even the most unkempt interiors look and feel right again, and some of the chores are removing stains and odors from carpets and area rugs, stripping and waxing floors, and washing windows. Montgomery’s Cleaning Services prides itself on its efficient, experienced, and background-checked team, and it welcomes inquiries in English, Spanish, and Dutch. The shop’s website features a photo gallery. My Diamond Cleaning Services, located in the Silver Spring, Maryland, area, also serves surrounding communities. Established in 2005, My Diamond has several years’ experience providing cleaning services to offices and retail and commercial establishments. Their professionally trained technicians, manage all customers’ needs. The commercial janitorial service offers a broad range of cleaning solutions for businesses, schools, medical facilities, schools, churches, and daycare facilities, with background checks performed on all janitors and day porters. Other services include high rise window washing, carpet cleaning, and floor polishing. My Diamond’s residential customer services include carpet cleaning, restoration of wood floors, tile and grout cleaning and air duct cleaning. OMA Professional Carpet Technician, LLC, has been offering residential and commercial cleaning services to residents in Lanham, Maryland, and surrounding areas for almost 10 years. The company's services include carpet and upholstery cleaning, air duct and vent cleaning, pet odor removal, area rug care, and more. In addition to residents, OMA services administrative offices, showrooms, retail stores, medical facilities, and other commercial clients. OMA guarantees 100% customer satisfaction and aims to provide high-quality service at reasonable prices. OMA uses a truck-mounted steam extraction carpet-cleaning technique to remove as many contaminants and allergens as possible from clients' carpets, which are then deodorized and sanitized. Customers have praised the company's level of professional service, expertise, and thoroughness. Quick Dry Carpet Cleaning provides expert business, residential, and oriental carpet cleaning in the metropolitan Washington, DC, region. They believe investing in the care of carpets and upholstery will result in a longer life for both, as well as maintain the original look and feel. All prices are listed up front according to rooms, areas, chair style, or sofa and love seat combinations that are to be serviced, and discounts and coupons are available through their website. To accommodate the needs of commercial clients, Quick Dry Carpet Cleaning completes their services around the business's hours, including working on weekends or overnight, and guarantee that all carpets will be dry by the next business day's opening. The Mean Green Carpet Clean is a carpet cleaning service company in Silver Spring, Maryland that proudly caters to the Greater Washington, D.C., Maryland, and Virginia areas. The service areas they cover include Bowie, Columbia, Gaithersburg, Germantown, Ellicott City, Hyattsville, Rockville, Silver Spring, Takoma Park, Alexandria, Arlington, Fairfax County, and McClean. The Mean Green Carpet Clean was founded in 2012. Their services include carpet cleaning, rug cleaning, upholstery cleaning, pet accident clean-up, and odor control. The Mean Green Carpet Clean is tough on dirt but easy on the environment. Cleaning is their mission and keeping it green is their pride. They offer a free quote. UCM Carpet Cleaning is a carpet cleaning company in Bowie, Maryland. Their service areas include Holmehurst, Collington, Brookland - Capitol College, Huntingdon - Bowie State U., Hardesty, Woodmore, Central Ave. - Enterprise Road, and City Center. UCM Carpet Cleaning provides home and business carpet cleaning. Their services include carpet cleaning, rug cleaning, and water damage restoration. 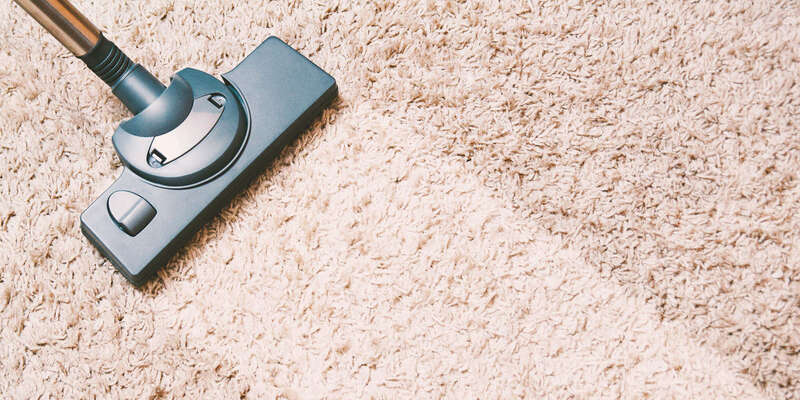 UCM Carpet Cleaning provides vacuuming services to not only keep the amounts of dust, pollen, dander and other allergens at bay, but as a form of maintenance as well. UCM Carpet Cleaning delivers quality, value, and peace of mind, conducting the deepest and healthiest cleaning its customers will ever receive. UCM Carpet Cleaning offers a free, no-obligation price estimate over the phone. UCM Cleaning Services is a professional cleaning service based in Bethesda, Maryland that specializes in the following main areas: carpet cleaning, rug cleaning, upholstery cleaning, air duct cleaning, water damage restoration, hardwood floor refinishing, and tile cleaning. For carpet cleaning, their service only uses natural cleaning products, and only when necessary after first assessing the particular fibers. They move all furniture needed and replace it after the job as well. In addition, UCM undertakes a pre-vacuum with a commercial system to remove any dust mites or allergens. They also provide professional rug cleaning such as bonnet cleaning (carbonated shampoo cleaner), shampooing, foam, powders and spot rug cleaners.